The Blue du Maine originated in Western France in the region of Mayenne. 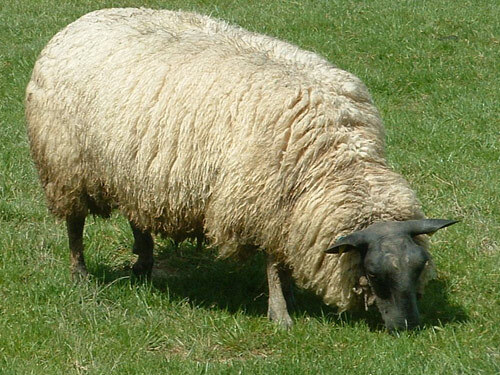 The breed was developed from crossing Leicester Longwool and Wensleydale which were imported during a period from 1855 to 1880 with the now extinct Choletais breed. The Blue du Maine is a large breed. The breed has no wool on its head or legs. The face is dark gray or blue color. Both sexes are polled. In comparing the Blue du Maine with the Texel breed, they show a higher litter size and age of sexual maturity. Their average daily gain, carcass leanness, milk yield, and lambing interval are similar to the Texel, but the Blue du Maine are lighter muscled.